Specialist Solidworks experts, we use the latest CAD systems to design precise engineered parts. Our in-house design utilises cutting edge technology in order to handle any designs, from the small and intricately complex to large scale items. 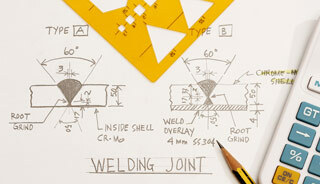 We are happy both designing a part from scratch for you or working from somebody else’s design. The demands of our clients are ever-changing, and the design department work hard to adapt and evolve with the industry. If you have found a problem with your current design, we’ll be happy to take a look at it for you, whether it was designed by ourselves or not. From styling issues to mechanical faults, we believe we can handle any problem thrown at us and have the capabilities and facilities available to find an elegant solution for any potential design issues. Our CAD experts can create almost any form, using tools such as Solidworks and FeatureCam. We can also use finite element analysis via third party to better understand the stresses and boundaries of the parts, allowing us to optimise design solutions to ensure that the finished product has the correct balance between weight and strength. Once a design is complete, we use 3D rendering to provide you with an accurate vision of what the final product will look like. The 3D photorealistic rendering provides an image which is as close to the real thing as possible, and gives you a chance to provide feedback and express any concerns. All of the design department are talented specialists in design, and have the relevant experience and training to create a design of the highest standard. The design is then easily transferable to the manufacturing stage. For more information call 01638 660186 or contact us online.